“Curacao” … the name sounds exotic but the charm and beauty of this amazing Caribbean island are more than one can envision. Imagine my delight when I learned my husband had a week of meetings at the Santa Barbara Beach & Golf Resort in May 2014! When I discovered the resort was also a “Pack for a Purpose” destination, I knew this trip would be extraordinary. The process to help the local children was easier than I expected. I quickly connected with the resort team – thank you, Rebecca – and contacted my husband’s company about getting others involved! 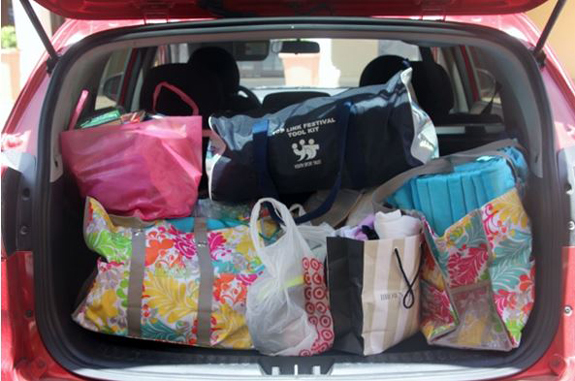 It took less than a day to provide many months of supplies for the Fundashon Amigunan di Cristo. The Santa Barbara Beach & Golf Resort team was as excited as I was to deliver books, school supplies, sports equipment, and beach towels to the more than 100 children who are served by this afterschool program. Ilona Faas de Bruijne (Sales Coordinator) made sure her staff took time from their busy schedule to help me deliver the items. 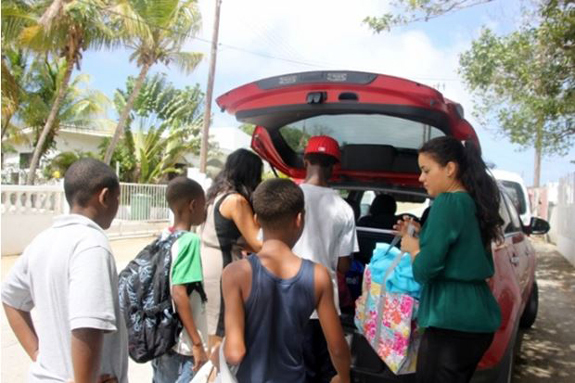 Loaded with school supplies, beach towels, and futbol equipment, we set off to meet the children! Older children unloaded the car while others quickly cleaned up the play area. It only took seconds for them to realize they had visitors! Playing musical instruments, counseling teens, and assisting students with college applications are part of the daily routine. 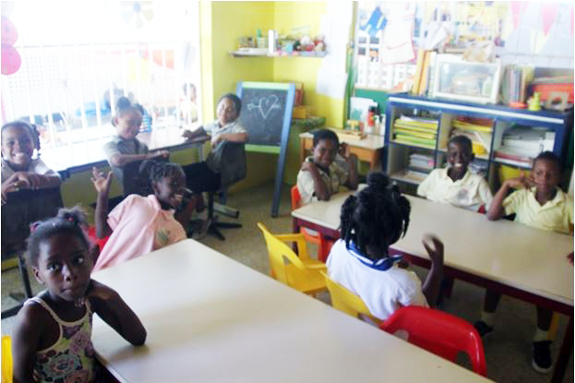 School children of all ages thrive in this safe and caring environment. Afterschool play time is followed by quiet time, focused on homework. 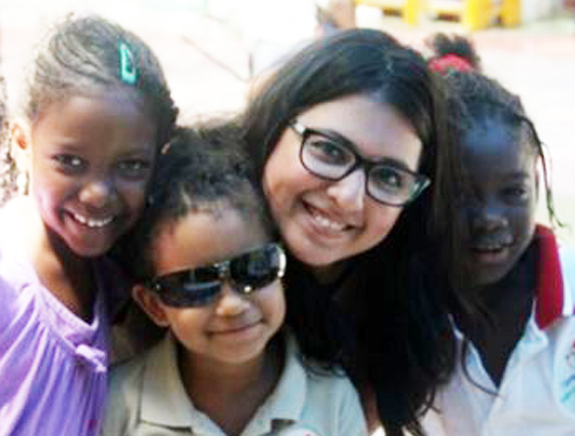 The afterschool program is designed to meet the needs of individual students. Smiling faces filled up each room. 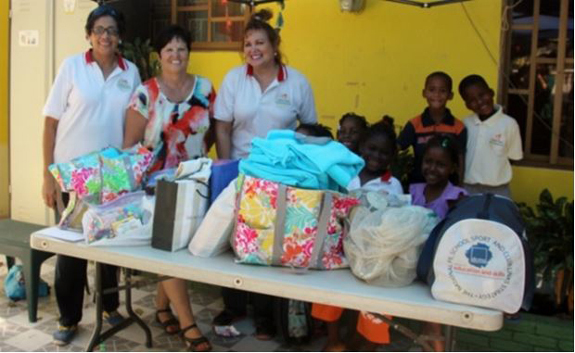 The Santa Barbara Beach & Golf Resort team was excited to assist with the donation and meet the Fundashon staff. The children were eager to get a glimpse of what was in the bags! The children loved having their picture taken with the visitors! As we left, everyone was hard at work … the books and school supplies will be shared when homework is done! The futbols, puzzles, and games will be a welcome addition to their recreation activities. Many thanks to the Santa Barbara Beach & Golf Resort team: Their commitment to making life better for the children in Curacao is commendable. The Fundashon Amigunan di Cristo afterschool program relies 100% on donations, and they appreciate everything that helps them run their program. What did it take to make a difference? 1 hour – Collecting, organizing, and preparing to deliver the contributions. 1 hour – Sharing the items with the students, touring the facility, and meeting the staff. 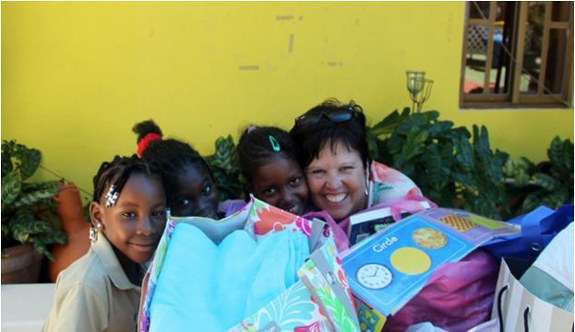 5 hours of time with minimal effort has a lasting impact on the children of Curacao. Three months after our trip, what do I remember about this picturesque, pleasant Caribbean island? Sunny skies, cool breezes, sandy beaches, and most prominently the smiling faces of the students and staff of Fundashon Amigunan di Cristo! I live in Southeast Asia on an expat assignment. We travel to exotic places in our spare time. What’s the first thing I do after travel reservations? Look for opportunities to “Pack for a Purpose.” The global PfaP network is vast and expanding all the time. Everyone has an opportunity to make an impact!